Constant Contact the plug n play email platform choice of many email marketers, has just rolled out a fantastic new feature for their email platform: social stats. This new feature will give email marketers a better understanding to the how, why, when and where people share email campaign information. According to mashable.com: “The new e-mail marketing tool will offer a complete social snapshot around e-mail campaign performance. Social Stats tracks Facebook “Likes,” tweets, LinkedIn ( ) posts and e-mail pageviews originating from social media channels. This is the beginning of a new era for email marketers who have been hungry for social data information. With this tool, email marketers will be more effective in testing their subject lines, copy, and segmentation strategies to strategically make their campaigns social media optimized with their targeted audience as online evangelists. Google’s new “toy” is a creation from the heart of their expertise and not another attempt at building a social network from scratch. Mashable’s iconic founder Pete Cashmore reports that ” Google Instant Search, which displays live search results as soon as you begin typing, provides results before a query is complete. By removing the need to hit the “enter” key, Google claims users will save two to five seconds per search. Two (2) to five (5) seconds does not sound like a lot until you extrapolate that time loss over the course of a work day of online searches. 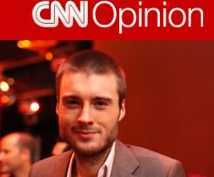 Pete Cashmore’s latest CNN column this week. Twitter hashtag events #FollowFriday and industry niche events such as #TravelTuesday and #WineWednesday are fantastic opportunities for brands to recognize, recommend, network, and create awareness for their products and services. These events are often the best first step to begin to open lines of communication with their targeted prospects and consumers. The following strategy is a way for a brick and mortar brand to recognize their customers, prospects, and the power of Foursquare. One of the most important advantages to Foursquare is the ability for consumers to “check-in” at a business’s location. This check-in provides a brand awareness by telling everyone, in their network, where they are enjoying their time. Savvy companies that understand how to mine these check-ins can create “tips” aka offers that are automatically delivered to people who are checking-in at a business near their own. This is our revisit to one of the simplest explanations of Twitter.com on the internet. It was done by CommonCraft.com a truly brilliant training video company. CommonCraft’s tag line: “our product is explanation” is one of the greatest tag lines today. Enjoy and pass this along to anyone who asks: What is Twitter?